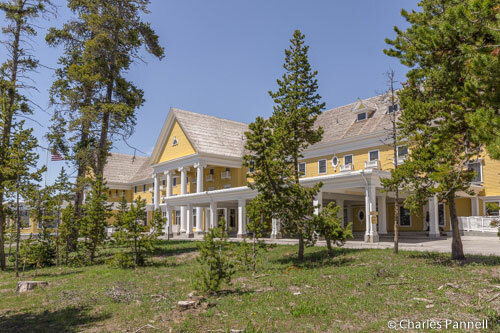 Researching national park access can be tedious, especially where lodging is concerned. National park lodges are operated by concessionaires, who operate under strict guidelines, and are responsible for the repair, improvement and daily operation of the facilities. It’s extremely important to deal with these concessionaires directly when you make a reservation for an accessible room; as not only will you will get the best price there, but you will also have access to employees that can block the accessible rooms and describe the access details of each available room. Unfortunately it’s not always easy to discern the true concessionaires, as they don’t always come up first in internet searches. Instead, paid advertisements with names that sound official usually come up at the top of the list. And if you make a reservation through these folks, chances are you won’t get an accessible room that meets your needs. With that in mind, here’s a list of the official concessionaires for the properties I’ve covered in my barrier-free national park books. Be forewarned though, these concessionaires do change from time to time, so scroll down their websites to verify they are still official concessionaires. Deal direct for better access! This entry was posted in Lodging, Recreation and tagged Arches, Arizona, Bryce, california, Canyonlands, concessionaire, Cpitol Reef, glacier, Grand Canyon, grand teton, kings Canyon, lodging, Montana, Mt. Rainier, national park, Olympic, Sequoia, Utah, washington, Wyoming, Yellowstone, Yosemite, Zion by Candy B. Harrington. Bookmark the permalink.